Speaking to reporters in New Delhi, BJP spokesperson Sambit Patra accused the Congress of sending lawyers to protect Michel. 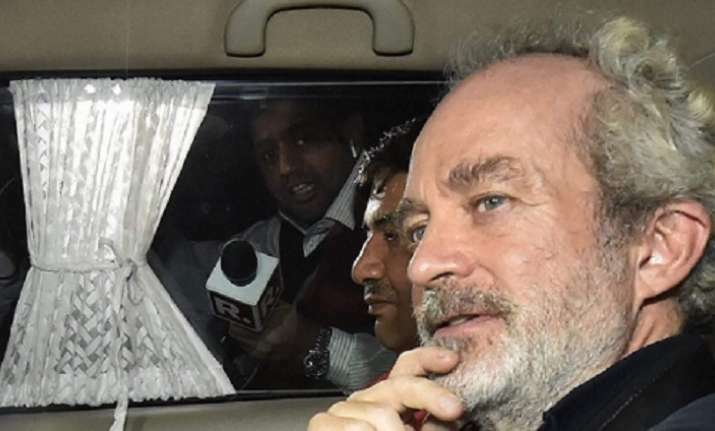 The Bharatiya Janata Party (BJP) on Thursday said that the Congress has been rattled by the extradition of Christian Michel, the alleged middleman in the VVIP chopper deal. The move is giving the 'family sleepless nights', the ruling party said. "The Congress is rattled after the extradition of Christian Michel. They sent their team to save Michel. Congress's Aljo Joseph appeared for him in Court, they later went through the charade of removing him. The family in Congress is getting sleepless nights," Patra said. "Other than Aljo Joseph, there are two other lawyers of Christian Michel, Vishnu Shankar, who is the son of a Kerala Congress leader and Sriram Parakkat who has been an NSUI member. All three have worked under big Congress lawyers like Salman Khurshid and Kapil Sibal," Patra alleged. The Congress on Wednesday expelled Indian Youth Congress leader and lawyer Aljo K Joseph from the party after he appeared in a court in New Delhi for Christian Michel. In a statement, the Youth Congress said Joseph represented Michel in his personal capacity and did not consult the party before appearing in the case. "IYC does NOT endorse such actions. IYC has removed Aljo Joseph from IYC’s Legal Department and expelled him from the party with immediate effect," the Youth Congress said in a statement.